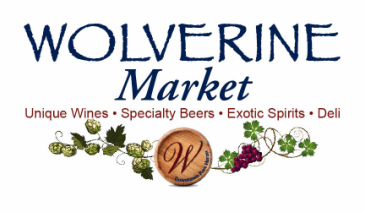 Wolverine Market Offers Fine Wines, Single Malt Scotches, Quality Beers and More! The Wolverine Market staff welcome you to our store! Our goal is to provide outstanding customer service. We promise not only to make sure you find what you’re looking for, but to ensure your complete happiness with your purchase. Our stock of wines, single malt scotch and quality beers is extensive, and if you can’t find what you’re looking for, we will do our best to acquire it—just ask! Please enjoy your shopping experience. We are located at 713 Huron Avenue, in downtown Port Huron. Our phone number is 810.982.0966. Store hours are Monday-Thursday 9 a.m. to 10 p.m., Friday & Saturday 9 a.m. to 11 p.m., Sunday Noon to 5 p.m.
Find us at 713 Huron Ave., Downtown Port Huron! We are Untapped! Check out the updated menu under "Our Beers" tab. Check Out Our Port Huron Beer Festival Page! ﻿Wolverine Market is the main sponsor of the Port Huron Beer Festival. September 24th was a beautiful day. ​We want to thank everyone for coming out for a super fun day. Go to the Port Huron Beer Festival website at www.phbeerfest.com to see more about what we did, what we will do and maybe some photos along the way. What a great day! great one stop shopping experience. Wolverine Market Voted Best in the Blue Michigan Beer Selection! The Times Herald Spin section has a question to the readers . . . what is the best in the blue (Blue Water Area)? In the past they've voted on best cheeseburger, bartender and more. This time it was Best in the Blue Michigan Beer Selection. And Wolverine Market was voted Best in the Blue Michigan Beer Selection!!! We are so humbled and honored that the Times Herald readers voted for us! Come on in and see why they voted that way. We think you'll be pleasantly surprised!